10 Factors to take into account before buying a new home! 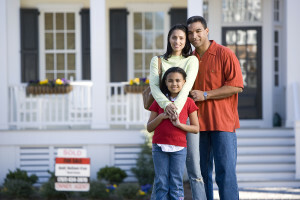 Home > Blog > 10 Factors to take into account before buying a new home! So you’re in the process of buying a new home, and you’re wondering what the deal is with home insurance. You need it, obviously, but how should you go about finding it, and what factors do you need to take into account? Good questions, and we’re here to answer them. The following 10 factors are crucial to take into account when you’re trying to choose homeowners insurance, so don’t overlook them. Where your home is located definitely matters to insurance companies. They will look at safety ratings, city, chance of natural disaster and more. Your homeowners coverage, like your mortgage, definitely depends on credit rating. Try to boost it before buying insurance, and you’ll get a better rate. Flooding is a doozy. If it’s common in your area, expect to pay a premium for insurance, especially if you’re right along a riverbank or on the edge of a lake or other body of water. Believe it or not, some breeds of dogs will raise your insurance rates. These include German Shepherds and Dobermans, for instance, both of which have a history of attacking humans and other dogs. Coastal natural disaster is not uncommon, including tsunamis or tropical storms. If you’re in a beach town, your homeowners coverage will likely be more costly. Crummy roof? Higher premiums. If your new house has a subpar roof, you should try to wrap repair into your home offer, wherever possible. Your home’s special features, whether installed or brought with you, may raise insurance rates as well. Pools and trampolines, for instance, will both raise your insurance rates, as they both contribute to injury and death every year, especially in children. Home insurance coverage definitely looks at the age of the home, as older homes have a greater tendency to break down, not meet code and cause safety issues. Natural disasters other than flooding or tsunami are also taken into account when insurance companies are calculating your home insurance premiums. Live in Tornado Alley? You’ll pay for it. Landslide area? You’ll pay for that too. This is the opposite of the case with coastlines … the further you are from fire stations, the higher your insurance can get, simply because without guarantee a fire truck can get there in time to save the home, insurance companies are more leery. So when buying home insurance for the first time, don’t forget these important factors.